Are you looking for scenic Asheville homes here in the mountains? Let our team show you more Asheville homes here in the mountains and give you more choices for those great mountain homes here. We know these mountains like the back of our hand and we enjoy finding clients Asheville homes for purchase. Asheville homes come in all shapes, sizes and prices but we help buyers find those special Asheville homes that meet their needs. 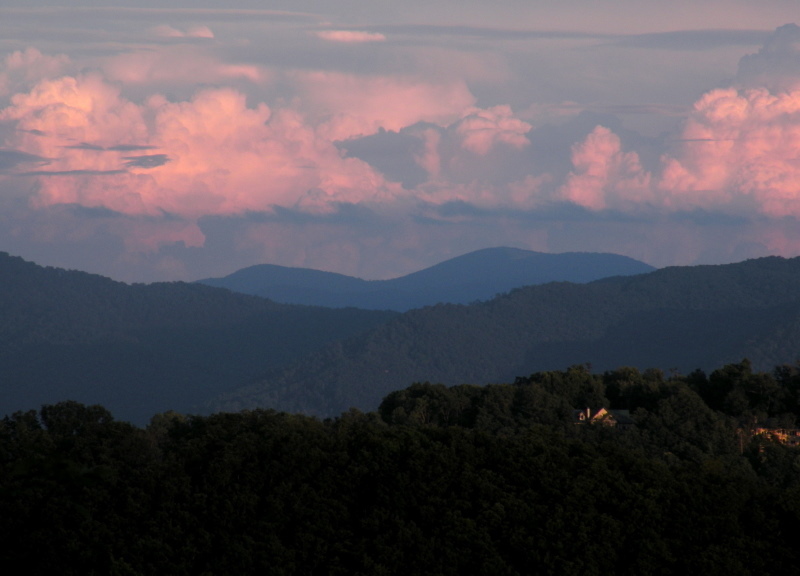 Call Green Mountain Realty for scenic Asheville homes in these mountains today. Recent price adjustment on this urban bungalow with modern updates. One owner home located on a cul de sac in desirable Haw Creek Subdivision. Single level living with a modern updated granite & tile in the kitchen and baths. The large windows overlook a wooded backyard providing a sense of privacy and natural lighting. Space is optimized for storage and convenience including the finished attic upstairs (which is not included in the HLA). Home is nestled on a wooded lot close to downtown Asheville & Whole Foods grocery with views of distant mountains at the entrance to the subdivision. I have a question about the property at 163 Rocking Porch Ridge Asheville NC 28805 (#3471475). I would like to schedule a visit for the property at 163 Rocking Porch Ridge Asheville NC 28805 (#3471475). Hidden down a private drive sits this early 1920's stream-front cottage in Montford on the Brinson Greenway, just steps from Downtown Asheville (74 Walkscore), NOT subject to HRC. Very private, serene setting to be so centrally located. "Rare opportunity" is overused, but for those who search for, or create, a homesite such as this will recognize how unique it is in this location. Gas logs, claw foot tub - charm of houses of that era. An older renovation that has been a long-term rental property for many years (please do not disturb the tenants) and offering a new home inspection (offered as-is - seller will do no repairs). Engineer recommended to determine viability of older outbuilding. CALL LISTING AGENT TO ARRANGE WEEKDAY/MIDDAY SHOWINGS WITH AMPLE NOTICE ONLY - DO NOT USE SHOWING TIME TO ASK OR ATTEMPT ARRANGEMENTS. I have a question about the property at 14 Ocala Street Asheville NC 28801 (#3489664). I would like to schedule a visit for the property at 14 Ocala Street Asheville NC 28801 (#3489664). I have a question about the property at 37 Jeff Drive Asheville NC 28806 (#3493687). I would like to schedule a visit for the property at 37 Jeff Drive Asheville NC 28806 (#3493687). I have a question about the property at 60 Marietta Street Asheville NC 28803 (#3496472). I would like to schedule a visit for the property at 60 Marietta Street Asheville NC 28803 (#3496472). I have a question about the property at 415 Onteora Boulevard Asheville NC 28803 (#3480308). I would like to schedule a visit for the property at 415 Onteora Boulevard Asheville NC 28803 (#3480308). I have a question about the property at 11 Hyannis Drive Asheville NC 28804 (#3483145). I would like to schedule a visit for the property at 11 Hyannis Drive Asheville NC 28804 (#3483145). I have a question about the property at 49 Rash Road Asheville NC 28806 (#3497133). I would like to schedule a visit for the property at 49 Rash Road Asheville NC 28806 (#3497133). Well maintained home in convenient Stoneybrook neighborhood. Single level floor plan offers a cozy den with gas log fireplace, spacious living room, and eat-in kitchen. Covered porch and a 12x16 deck for outdoor entertaining. I have a question about the property at 324 Heather Court Asheville NC 28804 (#3480209). I would like to schedule a visit for the property at 324 Heather Court Asheville NC 28804 (#3480209). I have a question about the property at 115 Johnston Boulevard Asheville NC 28806 (#3460664). I would like to schedule a visit for the property at 115 Johnston Boulevard Asheville NC 28806 (#3460664). Single Family home in Willow Creek Village with sidewalks. 3 bedrooms, 2 baths with open floor plan, private deck off back. HOA fee includes exterior maintenance of house. Updated in late 2017 with new paint, carpet and blinds along with NEST thermostat, key pad remote entry and under sink disposal. 5 minutes to I-26, less than 5 miles to West Asheville, less than 10 miles to Downtown Asheville. I have a question about the property at 21 Kirby Road Asheville NC 28806 (#3465308). I would like to schedule a visit for the property at 21 Kirby Road Asheville NC 28806 (#3465308). You'll fall in love with this like new home! Charming touches have been added including tile backsplashes in the kitchen and master bath and beautiful light fixtures and shelving details along with multiple flowering and privacy trees have been planted. The home has been well maintained and is only 2 years old! Situated in a quiet neighborhood of newer homes with large lots just NW of Asheville. No available building lots in front of or beside this home. (side yard extends to the new cypress trees) Open floor plan and spacious master bedroom with large walk-in closet. Side deck for grilling out or just relaxing wraps around from cozy front porch overlooking grassy knoll. Oversized single car garage allows for ample storage space and shelving is included. Don't miss this terrific home! I have a question about the property at 20 Daniel Brooke Drive Asheville NC 28806 (#3463510). I would like to schedule a visit for the property at 20 Daniel Brooke Drive Asheville NC 28806 (#3463510). Perched in the treetops this move in ready home is situated in the middle of all the action that Asheville offers. Very close to disk golf, mtn biking & hiking at Richmond Hill Park-French Broad River Outfitters, local breweries & restaurants are just a short ride down the road. Grab a bite and catch some live music in the River Arts District. Easy access to UNCA, downtown and I-26. The upcoming Silver Line Recreation Park is just over a mile away. Workshop and storage for all your gear. Listen to the tree frogs and unwind on your private deck while you plan your next adventure. I have a question about the property at 659 Pearson Bridge Road Asheville NC 28806 (#3485394). I would like to schedule a visit for the property at 659 Pearson Bridge Road Asheville NC 28806 (#3485394). Rare three-bedroom offering in desirable Oak Terrace, a 31-unit community of townhomes ideally located between Downtown Asheville & UNCA. In the surrounding area you'll find multiple coffee shops & cafes, Weaver Park, Trader Joes, Whole Foods, and the entrance to the UNCA trail system is right around the corner! The community offers gorgeous mature landscaping and a large manicured green space with a communal garden, perfect for outdoor games, lounging, entertaining, or unwinding after a long day. Oak Terrace allows you to live a suburban lifestyle in a very urban environment. I have a question about the property at 16 Spears Avenue Asheville NC 28801 (#3489650). I would like to schedule a visit for the property at 16 Spears Avenue Asheville NC 28801 (#3489650). Prime Location! Great starter home close to schools and shopping. This 3 bedroom 3 bath brick home situated on 0.30 private acres. Beautifully landscaped yard ideal for gardening or outdoor living. Main level features master bedroom, two guest rooms, dining room, kitchen, and living room. Lower level has an additional 382 heated SqFt that is not included in the total square footage. Unfinished space perfect for workshop or storage. I have a question about the property at 9 Springside Park Asheville NC 28803 (#3482440). I would like to schedule a visit for the property at 9 Springside Park Asheville NC 28803 (#3482440). This recently renovated 3Bd/2Ba home in Oakley is a must see! An addition in 2009 transformed this home with a new kitchen, custom cabinets, refinished hardwood floors, updated bathrooms, new roof, heat pump, and private rear deck. Additional updates include: new water heater in 2016; septic system was converted to city sewer in 2018. The downstairs master bedroom has a private entrance and access to a private porch. Fenced in back yard, garage and storage shed. House is close to I-40 and I-240, 10 minutes to downtown or West Asheville and 5 minutes to the Blue Ridge Parkway. I have a question about the property at 12 Chestnut Terrace Asheville NC 28803 (#3491424). I would like to schedule a visit for the property at 12 Chestnut Terrace Asheville NC 28803 (#3491424). Adorable 3 bedroom 2 bath home with separate entrance to downstairs. Updated kitchen and appliances, beautiful original hardwoods, and a great location! Front yard has a charming picket fence and the backyard is fully fenced as well. Walkable to coffee shops, restaurants, breweries and shopping. I have a question about the property at 8 Belvedere Road Asheville NC 28803 (#3492634). I would like to schedule a visit for the property at 8 Belvedere Road Asheville NC 28803 (#3492634). I have a question about the property at 471 Kenilworth Road Asheville NC 28805 (#3495670). I would like to schedule a visit for the property at 471 Kenilworth Road Asheville NC 28805 (#3495670). SIMPLY CHARMING & MOVE IN READY! Totally updated home on nearly 1/3 acre! Remodeled including electrical, HVAC, appliances, granite counters, cabinets, tile shower, hardwood floors, water heater, and new roof within last 3 years. Master bedroom has walk in closet with window! Parking for more than 6 cars on ample lot. 24 x 12 shed with electricity for workshop or storage. Rare fenced yard with pergola on oversized deck! Rock on the large front porch and relax on your 350 sq ft deck! Fire pit. Live work, VRBO rentals, and accessory dwellings allowed. Minutes to major grocery, River Arts District and all West Asheville has to offer! Work from home. Natural gas available. City water & high speed cable. Wow! Listed by Jo Anne Williams of Cornerstone Real Estate Cons. I have a question about the property at 24 Brickyard Road Asheville NC 28806 (#3491259). I would like to schedule a visit for the property at 24 Brickyard Road Asheville NC 28806 (#3491259). I have a question about the property at 379 Oakview Park Road Asheville NC 28803 (#3492464). I would like to schedule a visit for the property at 379 Oakview Park Road Asheville NC 28803 (#3492464). I have a question about the property at 25 Chance Cove Lane Asheville NC 28806 (#3498261). I would like to schedule a visit for the property at 25 Chance Cove Lane Asheville NC 28806 (#3498261). One-level living in convenient Woodfin, only 7 minutes to downtown Asheville! This home lives large and features three light and airy bedrooms, hardwoods throughout, updated bath and laundry room, and fresh paint throughout. This move-in ready home is perfect for a family or those who want easy living and convenience to it all. Host gatherings in your oversized kitchen/dining with plenty of room for a large dinner party, or let the fun spill out onto the large deck and enjoy the spring weather as friends play yard games in the grass -- the perfect little backyard oasis! With its turnkey ease, this updated home provides the space, charm, and location you want at a price you can afford. I have a question about the property at 200 Elk Mountain Road Asheville NC 28804 (#3476166). I would like to schedule a visit for the property at 200 Elk Mountain Road Asheville NC 28804 (#3476166). Listed by Darlene Witham and Ron Mashburn of Ron Mashburn, Inc. I have a question about the property at 69 Davidson Road Asheville NC 28803 (#3426093). I would like to schedule a visit for the property at 69 Davidson Road Asheville NC 28803 (#3426093). I have a question about the property at 76 Owens Bell Lane Asheville NC 28801 (#3403035). I would like to schedule a visit for the property at 76 Owens Bell Lane Asheville NC 28801 (#3403035). Enjoy a convenient location and income potential! This 3bd 3ba house has great bones, but needs some TLC. The main level features hardwood floors and includes: open living/dining area; gas fireplace with built-ins and huge picture window; combined kitchen/laundry room leading to large deck; master suite; full guest bathroom; and office or guest bedroom. The basement level includes: a second kitchen and dining space; family room; another bedroom and full bath; separate entry; and screened-in porch. The location: mall is 1 mile away, Biltmore Village 2 miles, Mission Hospital 3 miles, and the heart of downtown just 4 miles away. There are several new homes in the neighborhood, and several have been renovated - don't miss out on this opportunity! I have a question about the property at 44 Ridge Road Asheville NC 28803 (#3423209). I would like to schedule a visit for the property at 44 Ridge Road Asheville NC 28803 (#3423209). Multiple offers received. Highest and best offers due by 4pm, April 19. Lovingly updated and maintained, this place is ready to be your home sweet home. Here you'll live well with gorgeous oak hardwoods throughout, an updated kitchen with bowling alley countertops and all newer appliances, two large bedrooms with one boasting a bonus room for an office, nursery, or dressing room, a bright white bathroom fully remodeled with period charm, and a bright and sunny laundry with washer/dryer included. You'll live smart with newer 15 SEER heat pump with gas back-up, energy-efficient replacement windows, extra insulation and a sealed crawlspace. While this home lives so well on the inside, you'll be living large on the outside. After tending to the well-loved gardens, relax in the shade on the magical back patio overlooking your manicured back lawn. Then invite all your friends over to your ultimate entertaining space where the nights end around the fire pit. Live well. Live smart. Live easy. I have a question about the property at 61 Walton Street Asheville NC 28801 (#3475768). I would like to schedule a visit for the property at 61 Walton Street Asheville NC 28801 (#3475768).